A case may occur when a customer wants to apply credit balance to an affiliated company’s open invoice. Customer (Mark) has a $500 credit balance. Customer (Martha) has a $500 Open Invoice. They like to clear the accounts by applying $500 credit from Mark’s account to $500 Open Invoice of Martha’s account. One easy way to handle transfer credit from one customer to another customer is to write a Journal Entry in QBO. Click Journal Entry tab under Other heading. On the first line, from the Account drop down list, select Accounts Receivable (A/R). 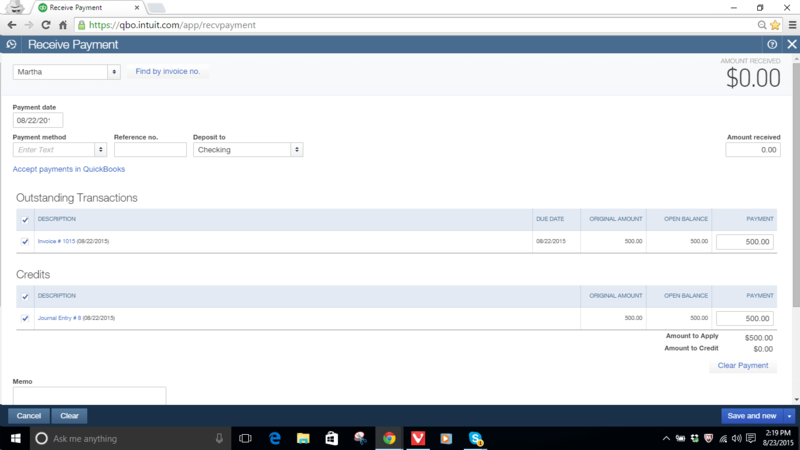 In the Debit field, enter the unapplied amount being transferred. Example:$500. In the Memo field, note the reason for the Journal Entry. Example: credit transfer to Martha’s account. 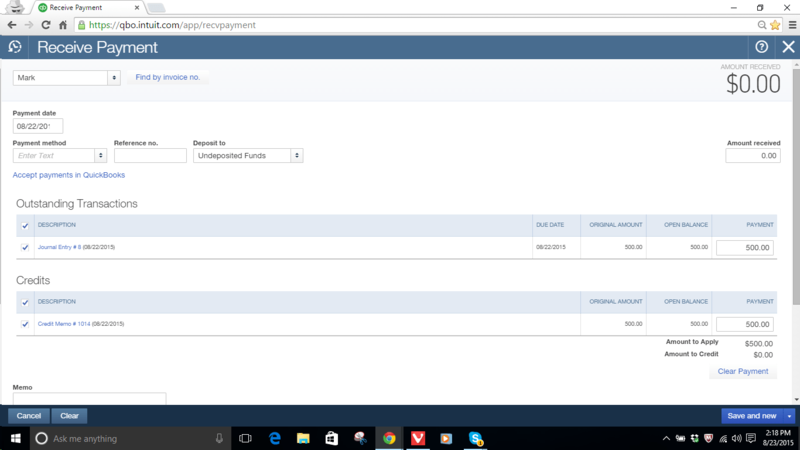 On the second line, from the Account drop down list, select Accounts Receivable (A/R) again. In the Memo field, note the reason for the Journal Entry. 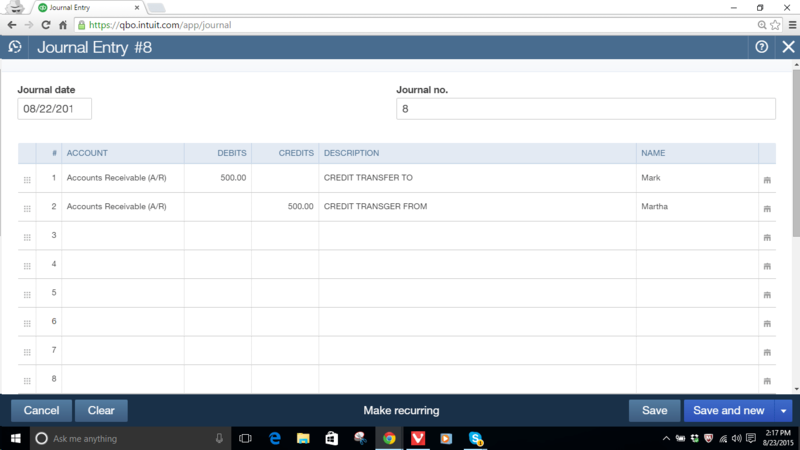 Example: credit transfer from Mark’s account. 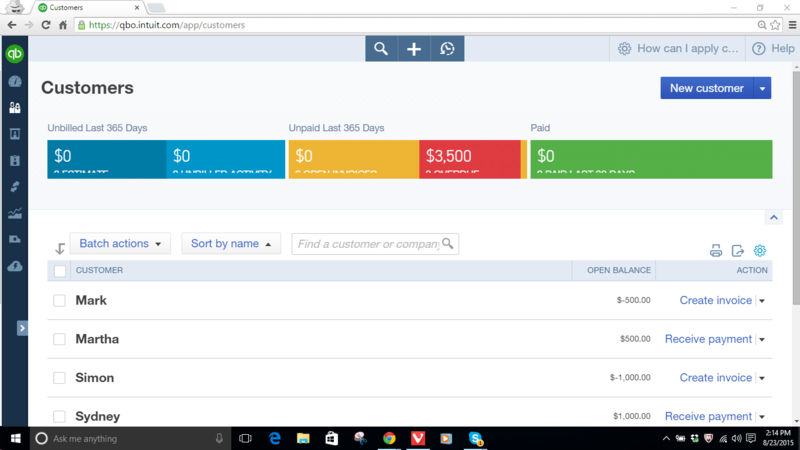 Go to the Customers tab and click Receive Payment. Select the customer (example: Mark). Make sure “Amount received” show zero amount. 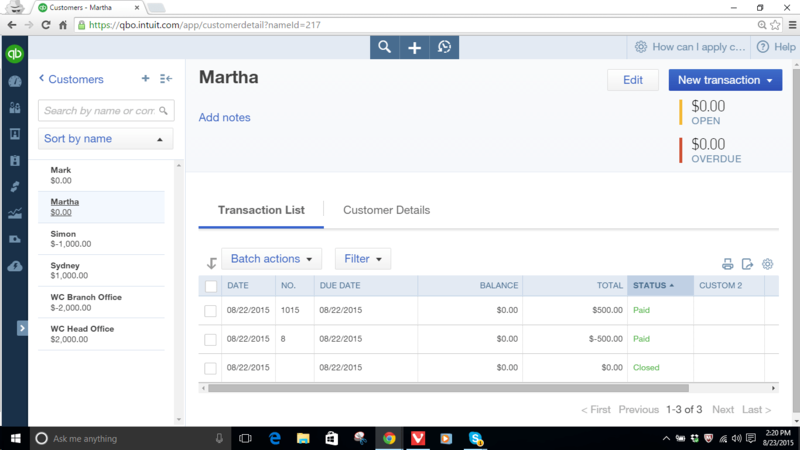 Follow the same “Receive Payment” steps as above for the customer (Martha). If you liked this video, then please subscribe to our YouTube Channels (VPController and NewQBO) for QuickBooks video tutorials. How do I permanently delete “Excluded” transactions in bank feeds?